Kirkis is an Australian artist and musician. Majored in painting at Sydney College of the Arts. Discontinued in 3rd year due to conceptual discourse. Has collaborated with numerous artists, notably Mark pritchard, Kirin J Callinan and Floating Points. 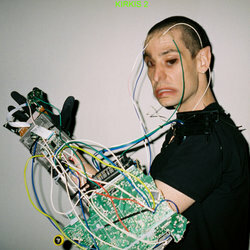 Kirkis 2 is his 2nd full length LP . NYC 80's sound. Sharp guitar, saxaphone, uptempo.